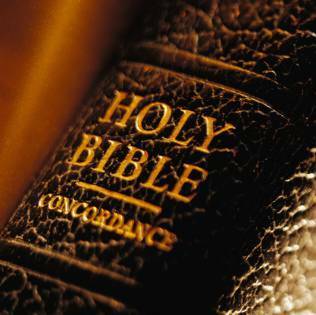 The best way to interpret the Bible is to allow the Scripture to speak for itself. Concerning our text verse, the chief priests and the elders of the people came to Jesus to question His authority. Jesus rebuked them for their unbelief. They had heard the preaching of John the Baptist. They had seen the publicans and harlots believe on Jesus. Yet, the Bible says they repented not themselves. Had they repented they would have believed. That is what Jesus said. Jesus didn't say they would have forsaken their sins or surrendered their lives to God if they repented. No, rather, Jesus said they would have BELIEVED on Him had they repented. Biblical repentance is turning to Jesus to be forgiven of one's sins. It's that simple. Acts 11:21, “And the hand of the Lord was with them: and a great number believed, and turned unto the Lord.” Salvation is acknowledging one's guilt of sin in the eyes of a holy God and believing the Gospel. Acts 20-21, “Testifying both to the Jews, and also to the Greeks, repentance toward God, and faith toward our Lord Jesus Christ.” Acts 20:21 does not mean to first, repent, and then second, have faith. Repentance and faith are as two sides of one coin. These are not two steps to salvation; but rather, two parts of one step. The man who believes has repented, and the man who repents has believed. If a man didn't repent, he would never come to Christ to be saved. Repentance and faith can be illustrated by getting on an airplane to travel from Michigan to Hawaii. You don't first leave Michigan and then second move toward Hawaii. Rather, you are moving TOWARD Hawaii as you are LEAVING Michigan. They happen simultaneously. The man who turns to God has turned his back against dead works, unbelief and sin. He has repented TOWARD GOD. This doesn't mean that a saved man has ceased from sinful behavior. Nor does it mean that his character has changed by getting saved. Many unlearned preachers today are perverting the Gospel, by adding the unnecessary requirement to forsake (or be willing to forsake) sinful behavior to be saved. This is not part of the Gospel. The Bible never teaches us to “repent from sin” to be saved; but rather, we are commanded to “repent” (Greek: metanoia, i.e., a change of mind) toward God. The Gospel of John mentions the word “believe” or “believed” 85-times, without ever mentioning the word “repent” even once. This is clear evidence that faith and repentance are inseparable; and that by believing on Jesus as the Christ, the Son of God, one has also repented. Repentance is acknowledging one's sinnership—admitting that I am as dirty and guilty a sinner as God hath declared me to be in His Word. The Law of God was given “that every mouth may be stopped, and all the world may become guilty before God” (Romans 3:19). Listen to what Pastor Harry Ironside (1876-1951) correctly states about repentance in chapter 16 of his book, EXCEPT YE REPENT . . . I agree 100%! The entire concept of Lordship Salvation is based in human effort. Most of our evangelical churches today have bought into the lie that it's not enough to believe the Gospel of Jesus Christ to be saved. The Gospel is that Jesus Christ DIED, was BURIED and RESURRECTED from the dead three days later (1st Corinthians 15:1-4). If you receive Christ's sacrifice on the cross as full payment for your sins, then you are saved. But don't I have to repent? Yes, of course! Biblical repentance is “a change of mind” that causes a person to believe the Gospel. Repentance is NOT a desire to stop sinning. Repentance is realizing that you are a SINNER and need the Savior, and so you believe the Gospel and are saved. Repentance is changing your mind about whatever was previously hindering you from completely resting in Christ for salvation. Pastor Charles Spurgeon Was Sometimes Wrong On Repentance! I have learned that any preacher whose ministry has spanned decades is very likely to contradict himself in his sermons. I don't care who it is, every preacher hones his doctrinal skills over time. For example: Dr. Jack Hyles was tolerant of the modern Bible revisions in his early ministry, but then discerned what Satan was doing in the churches, gradually corrupting the Words of God. Dr. Hyles became a champion for the exclusivity of the inspired King James Bible (MP3 sermon, The Battle Of The Ages, 1994) for the English-speaking churches!!! Having said that, Pastor Spurgeon seems to have been caught between differing theological camps, pressured to go both ways. Now let me say, many mighty preachers of the past have been horribly misrepresented, because Lordship Salvationists today are desperate in an attempt to prove their false doctrines. Since they cannot use the Word of God to prove their lies, they have no choice but to use secondary authorities. But they're a bunch of lying, good-for-nothing, scoundrels, as I will show you. They cherry-pick Spurgeon's sermons, failing to give you the whole picture. I would like to make this very plain. I hope that I have done so already; but still, plain as it is, it is only the Lord that can make a man see it. It does at first seem most amazing to an awakened man that salvation should really be for him as a lost and guilty one. He thinks that it must be for him as a penitent man, forgetting that his penitence is a part of his salvation. "Oh," says he, "but I must be this and that,"--all of which is true, for he shall be this and that as the result of salvation; but salvation comes to him before he has any of the results of salvation. It comes to him, in fact, while he deserves only this bare, beggarly, base, abominable description, "ungodly." That is all he is when God's gospel comes to justify him. May I, therefore, urge upon any who have no good thing about them—who fear that they have not even a good feeling, or anything whatever that can recommend them to God—that they will firmly believe that our gracious God is able and willing to take them without anything to recommend them, and to forgive them spontaneously, not because they are good, but because He is good. Does He not make His sun to shine on the evil as well as on the good? Does He not give fruitful seasons, and send the rain and the sunshine in their time upon the most ungodly nations? Ay, even Sodom had its sun, and Gomorrah had its dew. Oh friend, the great grace of God surpasses my conception and your conception, and I would have you think worthily of it!As high as the heavens are above the earth; so high are God's thoughts above our thoughts. He can abundantly pardon. Jesus Christ came into the world to save sinners: forgiveness is for the guilty. Do not attempt to touch yourself up and make yourself something other than you really are; but come as you are to Him who justifies the ungodly. A great artist some short time ago had painted a part of the corporation of the city in which he lived, and he wanted, for historic purposes, to include in his picture certain characters well known in the town. A crossing-sweeper, unkempt, ragged, filthy, was known to everybody, and there was a suitable place for him in the picture. The artist said to this ragged and rugged individual, "I will pay you well if you will come down to my studio and let me take your likeness." He came round in the morning, but he was soon sent about his business; for he had washed his face, and combed his hair, and donned a respectable suit of clothes. He was needed as a beggar, and was not invited in any other capacity. Even so, the gospel will receive you into its halls if you come as a sinner, not otherwise. Wait not for reformation, but come at once for salvation. God justifieth the ungodly, and that takes you up where you now are: it meets you in your worst estate. SOURCE: Charles Spurgeon; All of Grace; Chapter 1 - God Justifieth The Ungodly! Clearly, Charles Spurgeon DIDN'T believe nor teach that a person must forsake their sins TO BE SAVED. As you just read, Spurgeon believed that salvation comes to a person BEFORE the fruit of the indwelling Holy Spirit becomes evident. Spurgeon is 100% correct—a person is “UNGODLY,” and “that is all he is when the Gospel comes to justify him!” Amen!!! Why don't Ray Comfort, Paul Washer and John MacArthur quote these teachings from Mr. Spurgeon? Do you see how dishonest they are theologically? I'm sick of false prophets misquoting Charles Spurgeon. It is dishonest to selectively cherry-pick quotes from Spurgeon's works, portraying him as teaching that people cannot be saved unless they forsake sinful behavior to be saved. Things have become doctrinally awry in Southern Baptist churches today. Watch this video sermon clip of Paul Washer teaching: “No, No, If you don't have works, you're going to Hell!” That is blasphemy! That is NOT the Gospel! That is a hellish false doctrine of devils. Romans 4:5-6 says, “But to him that worketh not, but believeth on him that justifieth the ungodly, his faith is counted for righteousness. Even as David also describeth the blessedness of the man, unto whom God imputeth righteousness without works.” How much plainer could the Scriptures be? We are saved by God's imputed righteousness... WITHOUT WORKS!!! Paul Washer is in the second group that I mentioned earlier, the unsaved, who are wrong on repentance. Mr. Washer openly adds works to faith, which is what nearly every false religion does (Acts 15:1; Galatians 3:2). Here's a quote that is often used to claim that Charles H. Spurgeon (1834-1892) taught Lordship Salvation (and may I say, Spurgeon was flawed doctrinally in some of his teachings, as are all men. For example: Mr. Spurgeon was a one-point Calvinist, who taught that Jesus only died for believers, not for all mankind. This is why the Word of God ought to be our only authority, not men. Many Baptist churches today are teaching false repentance, which requires a person to forsake their sinful behavior to receive the gift of eternal life. This is unbiblical. (Charles Haddon Spurgeon, “Turn or Burn,” Music Hall, Royal Surrey Gardens, December 7, 1856). That is heresy! From reading the writings of Harry Ironside and Charles Spurgeon, it ought to be obvious to you, the reader, that they cannot both be correct on repentance. 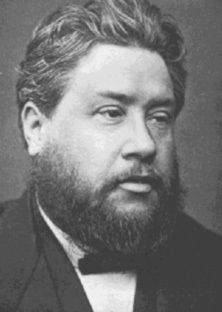 Pastor Ironside plainly teaches that salvation does not require any human effort; yet, Pastor Spurgeon says you must abandon all your sins to be saved (which is 100% human effort). Who is correct? Why is teaching heresy? The religious world is divided today on the matter of repentance, particularly Independent Baptist churches. Biblically, Harry Ironside is 100% correct, and Mr. Spurgeon is wrong. The Greek meaning of “repent” in the Bible concerning salvation is always “to think differently.” It is a change of mind, not a change of lifestyle or priorities. By comparing Scripture with Scripture, we learn the truth in Romans 3:19, which states, “Now we know that what things soever the law saith, it saith to them who are under the law: that every mouth may be stopped, and all the world may become guilty before God.” The purpose of the Ten Commandments (i.e., God's law) was not for man to perfectly keep them and merit eternal life, because that is humanly IMPOSSIBLE (Romans 3:20). The purpose of God's Law was to be used as a measuring stick, by which when men compare themselves to a holy God, they see their sinful condition and declare their guilt. This is what Romans 3:19 teaches! Thus, Biblical repentance is seeing one's self as a guilty sinner in the eyes of a holy God. And then the law points us to Jesus Christ (Galatians 3:24-26), Who is THE END OF THE LAW to them that believe (Romans 10:3-4). Men repent to believe, they do not repent and believe. You'll never heard Evangelist Ray Comfort nor Pastor John MacArthur quote the preceding statement by Charles Spurgeon. Ray Comfort doesn't even comment on Romans 4:5-6 about the doctrine of IMPUTATION in his popular The Evidence Bible. Who would ignore such an amazing and important truth??? The reason why is obvious when you understand that Mr. Comfort teaches Lordship Salvation, and denies the eternal security of the believer. Literally, Ray Comfort believes that no professed believer who continues in sin has God's assurance of eternal life. That is utter satanic heresy! When you truly get saved, you can write your name, date, time and the place, in the back of your Bible, and rest 100% confident forever that you are God's child. You've been born-again, saved certain and permanently! You have God's solemn promise of eternal life if you've believed the Gospel (1st Corinthians 1:21; Titus 1:2; Romans 10:13; John 3:16). Beware of anyone (like Evangelist Paul Washer) who teaches that you cannot write your name, date, time and place in your Bible, recording when you were saved. To teach otherwise is to turn salvation into a process conditional upon human effort, instead of having faith solely in the Gospel of the Lord Jesus Christ. I've been hearing this satanic Calvinist garbage taught on Pacific Garden Mission's radio show UNSHACKLED. There is an epidemic in our evangelical churches today of TWO PLAN'S OF SALVATION. One says you just admit that you are a sinner and believe the Gospel, which is Biblical. The other says that you cannot just believe the Gospel of Jesus Christ and write your name, date, time and place that you were saved in your Bible; but rather, you must turn away from a sinful lifestyle, commit your life to serve Christ, confess Him before men, forsake the world and be changed to be saved (or as validation that you are really saved). The latter is damnable heresy, another Gospel, and a false plan of salvation!!! It is shocking to me that most churches these days have no problem with these two ideologies circulating in our churches. Moody Ministries is one such organization. They idolize heretic John MacArthur, who is an admitted 5-point Calvinist! Calvinism And Grace Are Not Compatible (excellent, by Pastor Yankee Arnold). I know numerous Independent Baptist churches that have these two plans of salvation in their midst, and they're OK with it! Clearly, although they would never admit it, the love of money is a higher priority to them than THE TRUTH. And when I've tried to warn some of them, they couldn't have cared less about it, and continued in their wickedness!!! Apostasy has crept into the churches! And may I say, the small handful of faithful soul-winning churches remaining today all teach “the simplicity that is in Christ” (which is the former of the two plans of salvation). You'll never see Ray Comfort or David Cloud leading multitudes to the Lord, because they've made God's plan of salvation so complicated that no one can be saved. Many churches today are more resemblant of clowns and circuses. I looked up the word “renounce” and it means “to turn away from sin, to give up, to leave voluntarily.” Spurgeon is wrong that a person must do this to be saved. This is a false teaching! You cannot show me even one verse in the Holy Bible that teaches “to turn from sin” to be saved. Repentance in the Bible means “a change of mind,” period. We are not told what the change of mind is concerning. I hear hundreds of foolish preachers saying errant things like: “Repentance means 'a change of mind that produces a changed life,' and a changed life means declaring Christ as Lord!” That is heresy, adding works to grace! As the Devil does, such wayward preachers subtly add works to grace. Romans 11:6 teaches and warns that salvation is either by grace or by works, but it cannot be BOTH. Many of today's preachers are caught between grace and works. It is the indwelling Holy Spirit Who produces the new spiritual life in a believer, and not the believer himself. You're going to find a lot of quotes by mighty men of God from decades and centuries past, taken out of context on the internet. By themselves, most of the quotes would seem to evidence that a preacher was supportive of Lordship Salvation; but as I just proved to you, a man can quite easily by misrepresented. I am very careful when I expose someone as a false prophet. Ray Comfort clearly teaches that a person absolutely must stop committing sins or they can't be saved. He teaches in The Evidence Bible that the unsaved religious people sent to Hell in Matthew 7:22-23 weren't saved because they hadn't given up all their sins. But he foolishly leaves out verse 21 that tells us why those religious people went to Hell... because they failed to do the will of the Father, which according to John 6:40 is believing on Jesus Christ. Christ-rejecters go to Hell; not people who have faith in Christ, but don't stop living in sin. Ray Comfort's Gospel is all wrong! Jesus said to beware of the leavenings of the Pharisees. What did He mean? Matthew 16:12 tells us, “he bade them not beware of the leaven of bread, but of the doctrine of the Pharisees and of the Sadducees.” Jesus was warning His disciples concerning the teachings of the Pharisees and Sadducees. Just as a loaf of yeast dough will expand as it rises, overtaking anything in it's path, so will false doctrine grow and overtake one's life if you're not careful. False doctrine will corrupt you. This is why I will not attend certain churches. Now I love Baptist churches, and I'm an Independent Baptist myself; but some of them are corrupt. I recently visited a Baptist church where the pastor quoted Pat Robertson and praised Rick Warren. I couldn't get out of there fast enough! I want a pastor who walks with God for six days out of the week, and then teaches me on the 7th what he learned during the week. I don't want some rascal who read a book by Rick Warren, watched a show by Pat Robertson, and then wants to corrupt my mind with heresy on Sunday. No thanks! Jesus said SEARCH THE SCRIPTURES in John 5:39. Most pastors are searching everywhere else! Did you read what Dr. Rice said?, “The change is in your heart...” This is exactly what Bro. Hutson and Pastor Hyles taught. Salvation is of the heart; not of works. Salvation is of God, not man. Our part is simply to believe, but it is God who changes our heart as we grow in grace (1st Peter 2:2). Lordship Salvationists demand instant growth like a Chia Pet (just add water). Let us ponder the words of Jesus, who said in John 6:37, “...him that cometh to me I will in no wise cast out.” Any sinner who sincerely wants to be saved, may be saved, if he'll simply come by way of the precious blood of Jesus. Question 200. Is repentance still necessary to salvation? "Repentance is inseparable from faith. The Greek word for repentance in the Bible simply means a change of mind; that is, a wholesale change of attitude toward sin and toward God. One who turns his heart to trust in Christ has, naturally, turned his heart away from the love of sin ... It is a mistake to make a process out of salvation with repentance and faith as separate steps. They are really different parts of the same step or different ways of speaking of the same attitude of heart. One who repents, that is, has turned from rebellion and unbelief to trust Christ, has believed, of course. One who trusts in Christ has necessarily turned his heart from rebellion and rejection of Christ and so has repented." Again, Jesus rebuked the Chief priests in Matthew 21:32 for their unbelief. They had heard the preaching of John the Baptist. They had seen the publicans and harlots believe on Jesus. Yet, the Bible says they repented not themselves. Had they repented they would have believed. That is what Jesus said. Jesus didn't say they would have forsaken their sins or surrendered their lives to God if they repented. No, rather, Jesus said they would have BELIEVED on Him had they repented. Where the Burden Rests in Salvation!